I presume that you are here to find out what you need to know to prepare for your baby’s journey and arrival into the world and make it as positive and gentle as possible. You’re on the right path. Traditionally women have been attended to and cared for by other women during pregnancy and labour. Having a consistent caregiver during this time has tremendous benefits for birth outcomes for all involved. 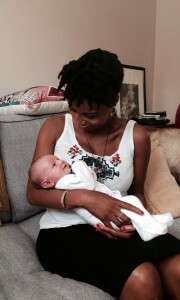 I am an experienced birth and postnatal doula, birth preparation teacher and hypnobirthing teacher offering a confidential, grounded and warm service in London. Contact me for a chat or to meet-up to see if I am the right person for you during this special journey.